It’s not often I exclaim ‘Oh wow’ to myself in the middle of the street, but I did when I saw the size of this thing, looming massively, looming even more than Hilary House behind us. The photo doesn’t do it justice so I’ll have to attempt to convey it words. 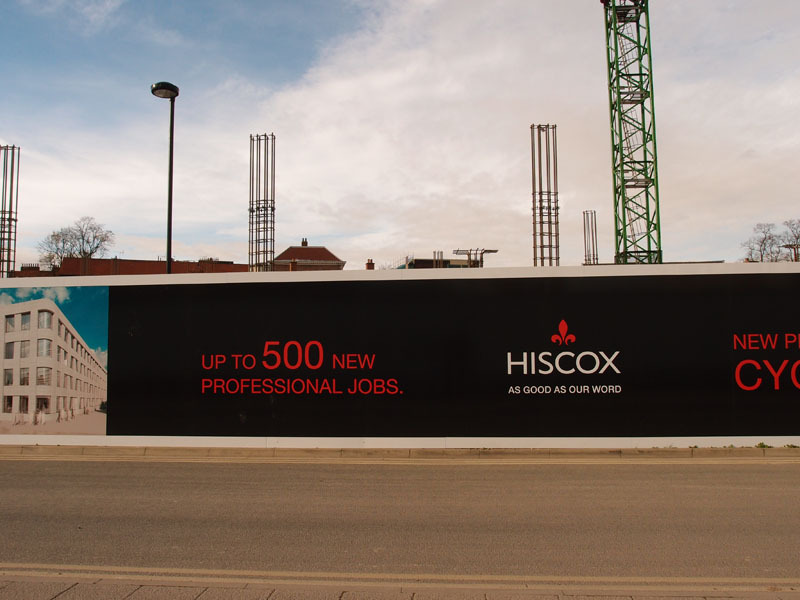 On either side of us, historic buildings, framing the beginnings of a building for the 21st century, for Hiscox. Rising up from the middle of the site a huge drill-type thing, which I think is probably called a pile driver, paused and still and waiting for the next working day to begin. Behind it Rowntree Wharf, a big brave confident building from an earlier century. 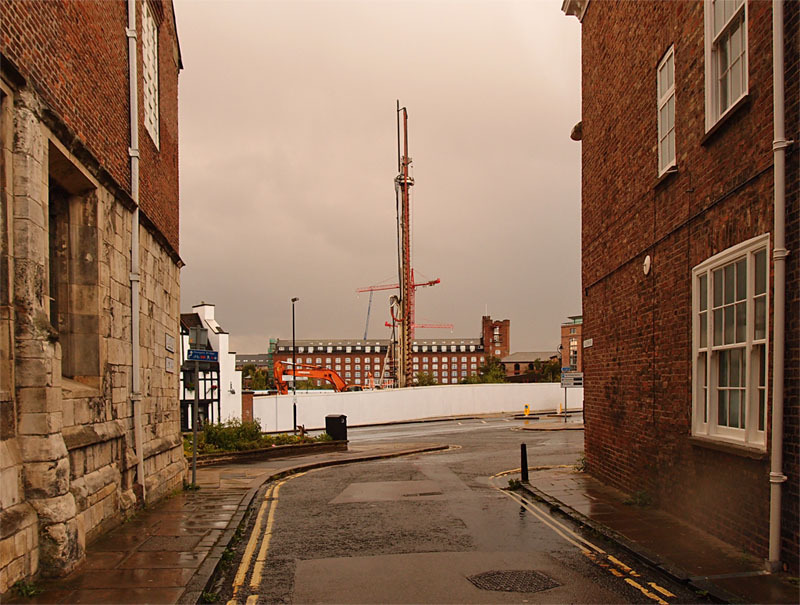 Behind that, the cranes over the Walmgate building sites. One morning in early November I called back again to see how things were progressing. Beautiful sunny day, blue sky, very mild, and the site full of activity. 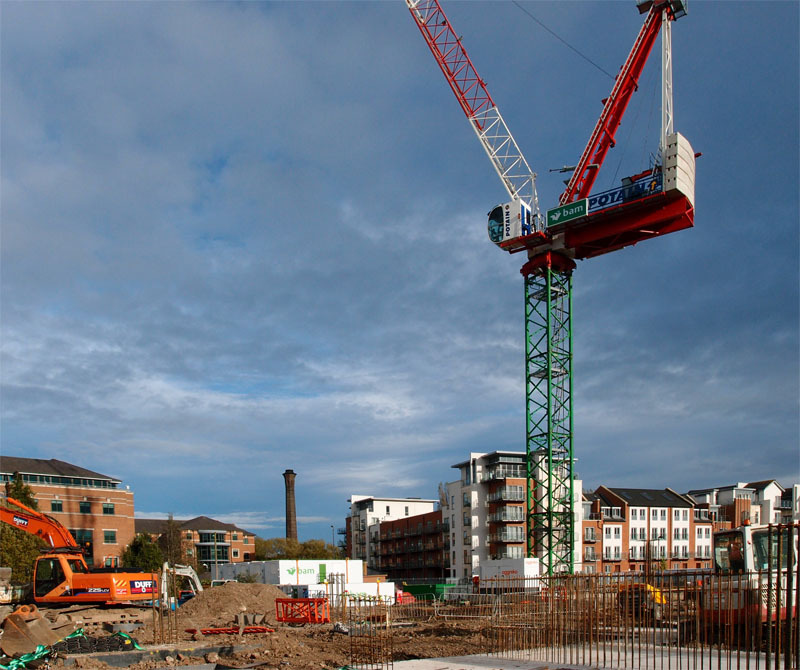 Building sites can be a very positive sight, and this place is positively buzzing. It’s probably the most exciting building site I’ve visited in the course of my wanderings over these ten years. Probably mainly because it’s a workplace, rather than yet more apartments. 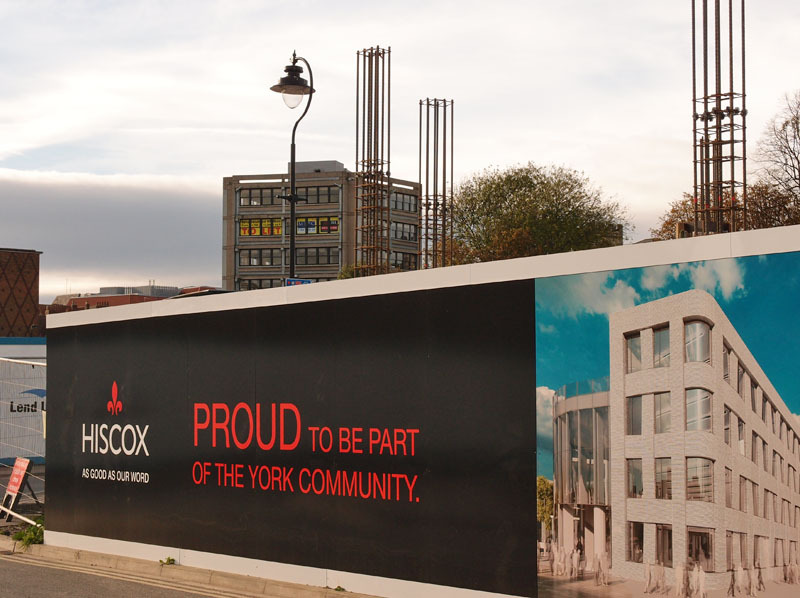 Even the ads on the hoardings are a class above the usual thing, those rather silly ads for apartment developments. These are black, white and red, with confident, bold statements. Very classy indeed. On sunny days over the winter, if I’m up that way, I’ll try to keep a record of progress. 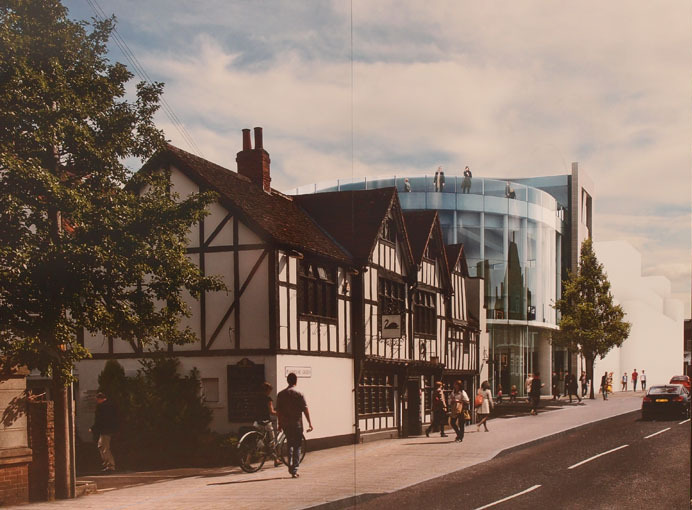 Many residents are watching developments with interest. 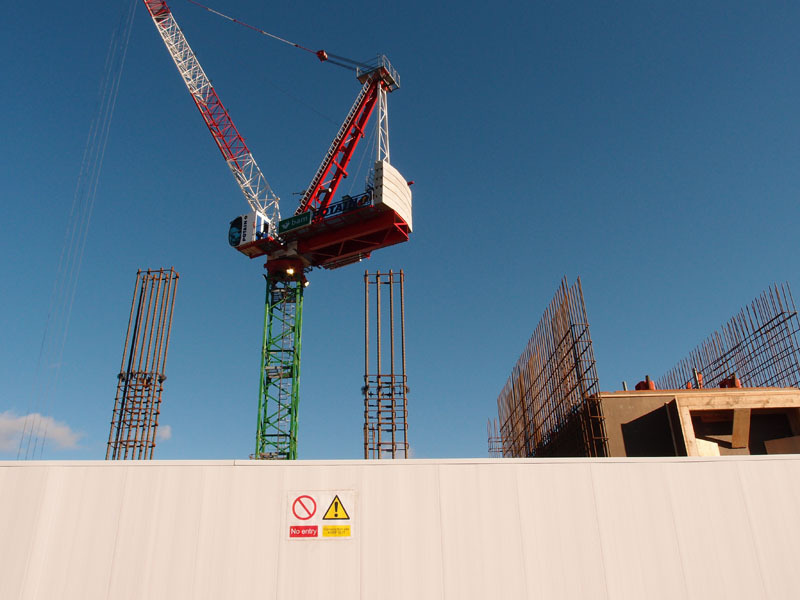 I didn’t meet anyone else taking photos but I did have a nice chat with a man who was standing by the site watching that massive crane do its thing. Other people wandering by gazed up at it. The site has been empty and quiet for some years, and all this is quite a contrast. 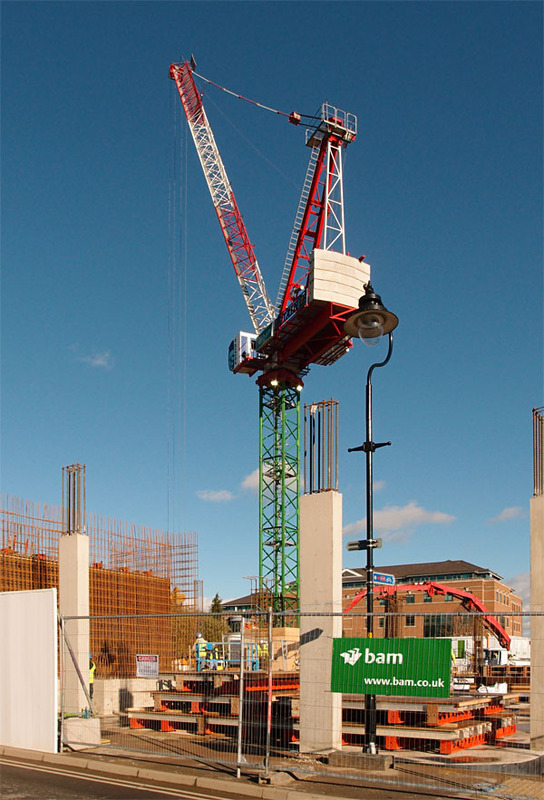 I’ll end the page with another image taken on 3 November, from the side of the site, on Dundas Street. Which, when I started these wanderings ten years ago, was home to an ambulance station with rusty gates and just across the road an old coachworks building, low, functional, red brick, with a fading painted sign. 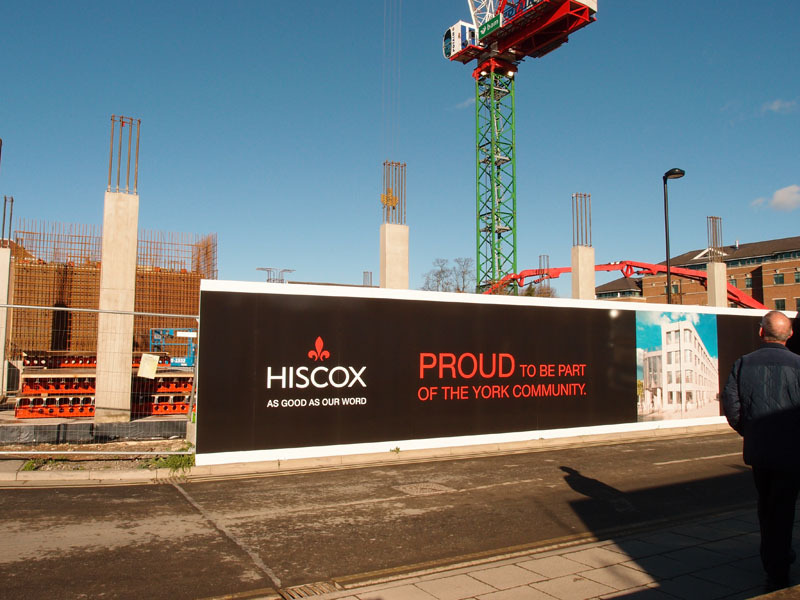 It’s certainly changed a bit around here in the Hungate development area. Just across the way my favourite urban brownfield buddleia forest still grows, but probably not for much longer. It too I guess will soon give way to concrete and cranes.